Feel yourself happy and fine with Me! A message of God: I want to ask you if you want a date with Me. I am Yeshua HaMashiach, Isa, Jesus Christ! Hello, very welcome! 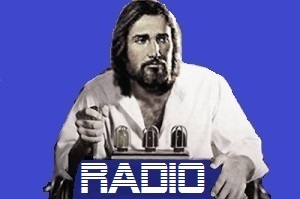 On May 18th, 2015, the Lord Jesus Christ, Yeshua HaMashiach himself, brought on His word to Benjamin Cousijnsen, end-time Prophet of the last days. It is I, your Rabbouni. I want to ask you if you want to have a date with Me. I am the Almighty and My name is Yeshua HaMashiach, Jesus Christ. Verily, how are you? What is the best date for you? For Me, it is that we are open to each other, and listen to each other. You are My everything, and I do not want to lose you, and want to remain with you! Are you still free? Verily, feel yourself happy and fine with Me. Did I not give My life on the cross for you in love, and bore your transgressions? Has anyone ever done such a thing for you? Everything I did out of love for you. What would you do out of love for Me? Take once a moment to listen. Thus we have the perfect date together! Verily, I will always point out that a good relationship, a good contact, ensures the best protection and date. Lamentations 3, verse 25 and 26 The LORD is good to those who wait for him, to the soul that seeks him. 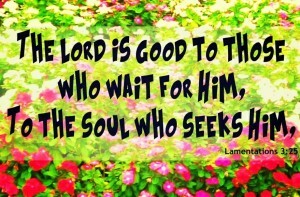 It is good that a man should hope and quietly wait for the salvation of the LORD. And Psalm 77, verse 11 and 12 I will remember the deeds of the LORD; for I will remember your wonders of old. I will also meditate on all your work, and consider your doings. Verily, I have chosen you, so that you are not alone. I always want to be there, and you can always rely on Me, Yeshua HaMashiach, Jesus Christ. What would you do out of love for Me? Verily, and do you have sorrow or pain, and you cannot take it anymore? Nevertheless, you have to go on. And I know your grief. I don’t leave you alone, though it seems that no one sees it! Verily, My beloved, you will not find a better date. I’m going now, let My love be with you. Ruacha, Yeshu, Shalom! spoke the Lord Jesus Christ, Yeshua HaMashiach, and disappeared.